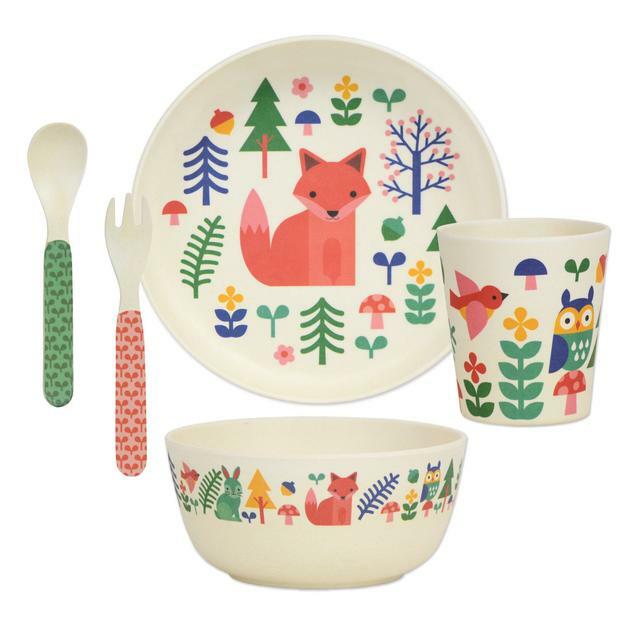 From our long time fave, Petit Collage, come three lovely 5-piece bamboo dinnerware sets. They are eco-friendly, biodegradable, shatterproof and can be used with hot or cold foods. 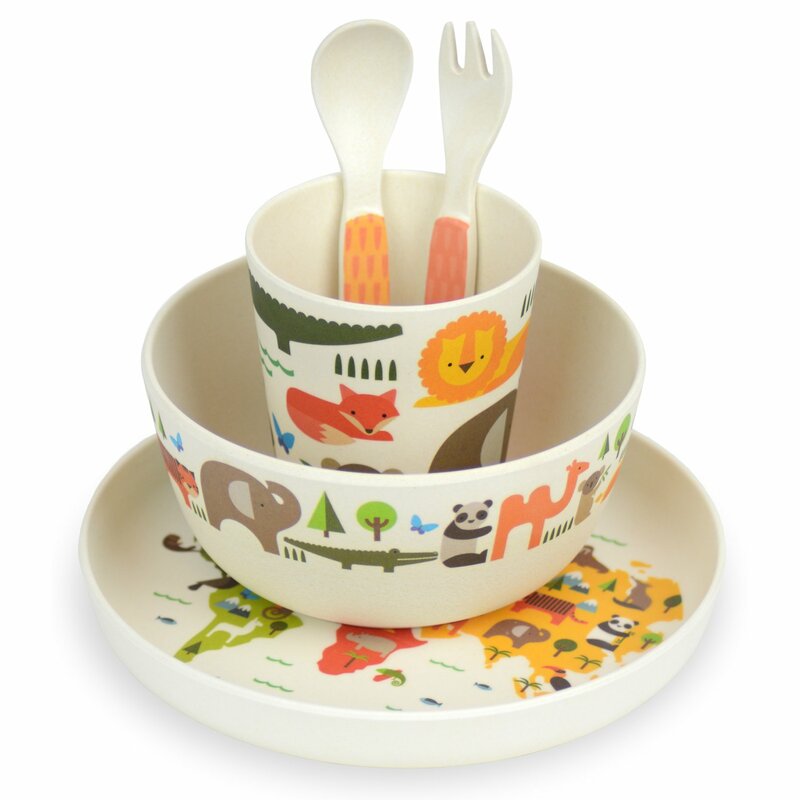 The sets include a plate, bowl, cup, spoon and fork. They come ready for gift giving in an adorable box. or Dinosaur set for $30 each. 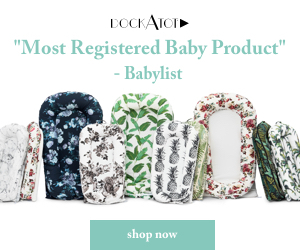 The makers of our favorite co-sleeper, DockATot, have just unveiled a new concept in bassinet design. 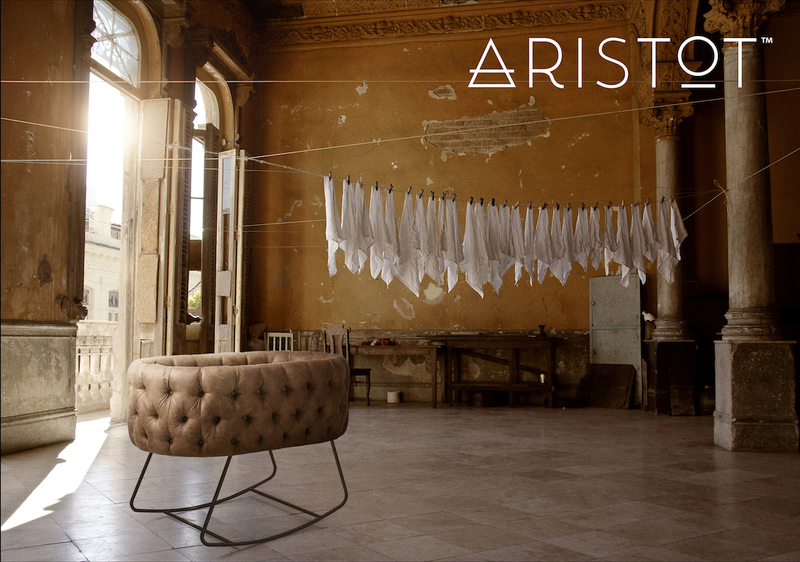 Aristot is a modular design with four bassinets and four interchangeable metal bases that come in a variety of finishes. 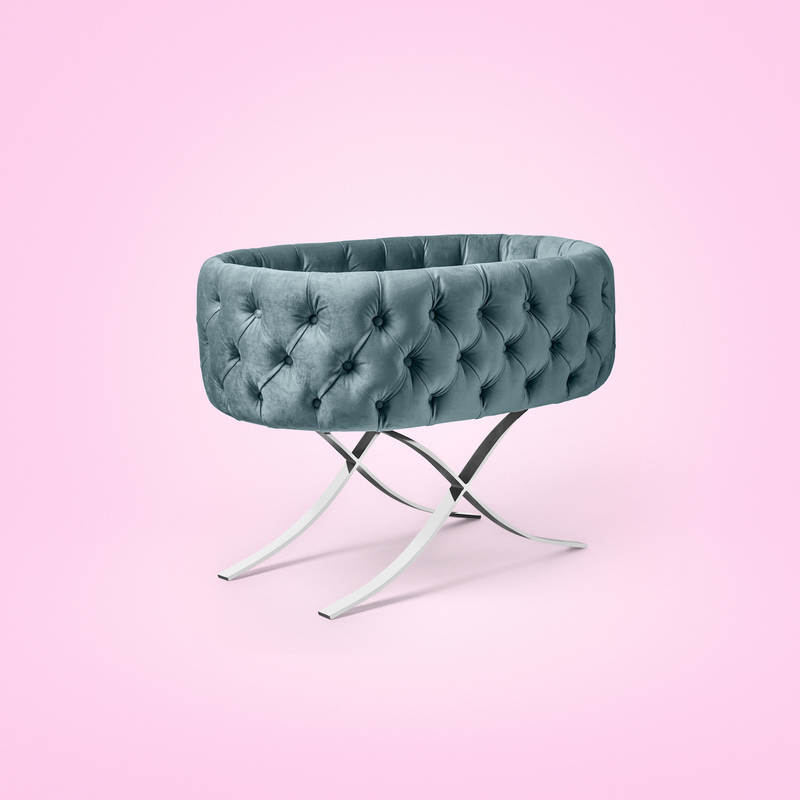 The bases and bassinets can be mixed and matched to create the perfect style for the most luxurious baby spaces. 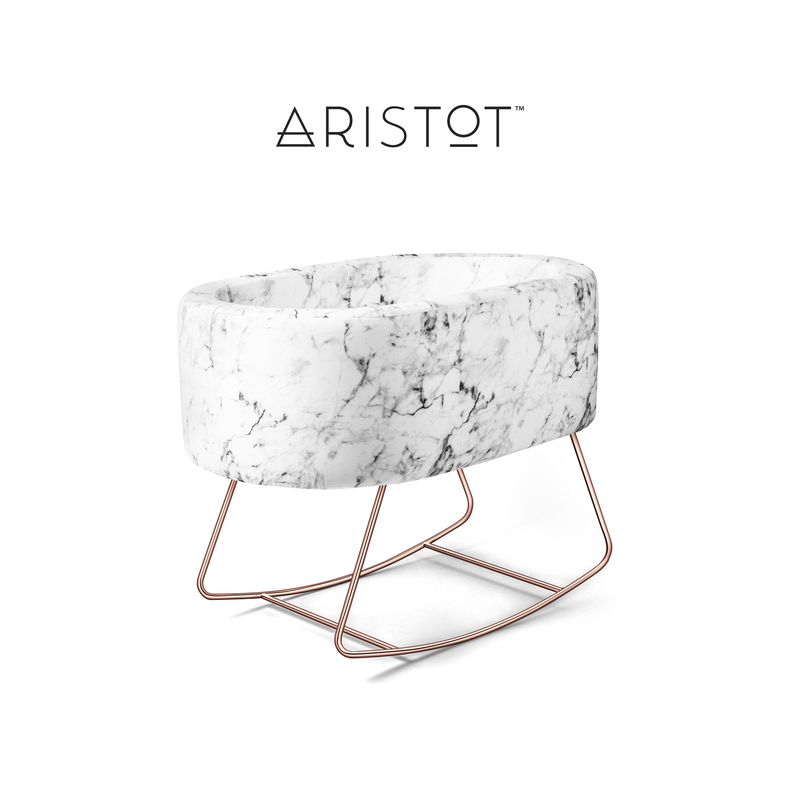 Look for Aristot on DockATot.com and retailers nationwide starting this fall. Prices will start at $1500. 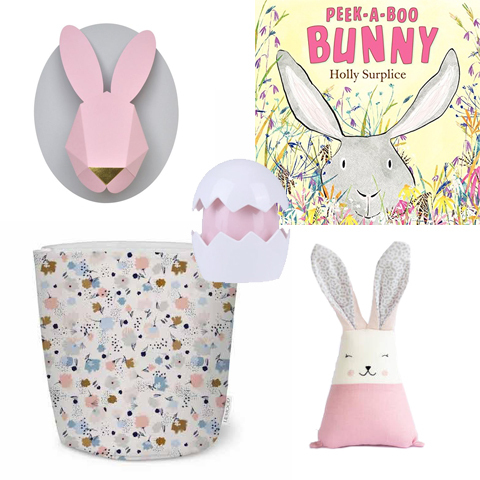 For 2018, we’ve got 5 new Easter basket ideas for a baby friendly, candy-free celebration. 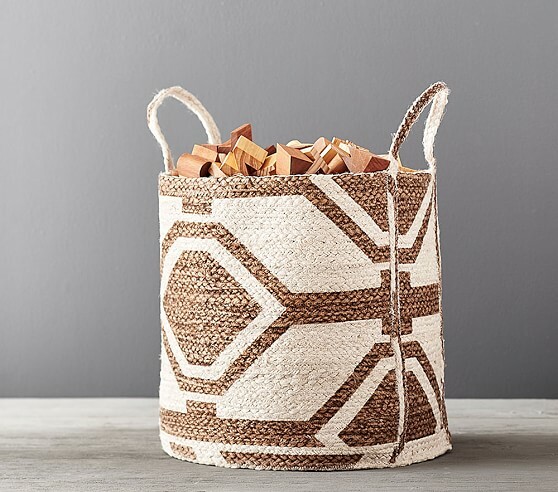 Of course, you can always add a bit of chocolate if you like, but these baskets are wonderful collections of treasures on their own. The modern baby world would not have been the same without The Land of Nod and neither would this blog. 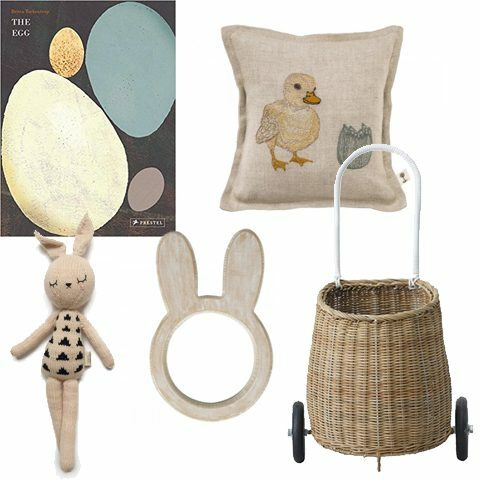 From our very first posts, we’ve referred to products, many of them exclusive, from The Land of Nod, and it’s always among our first stops when we’re looking for items for any nursery design. I even placed a final order from them this week. But today, it’s official. 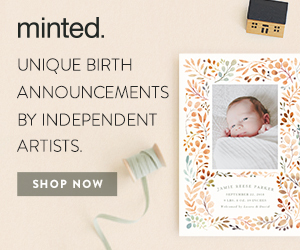 The Land of Nod is gone and all our previous links will redirect to Crate & Kids. 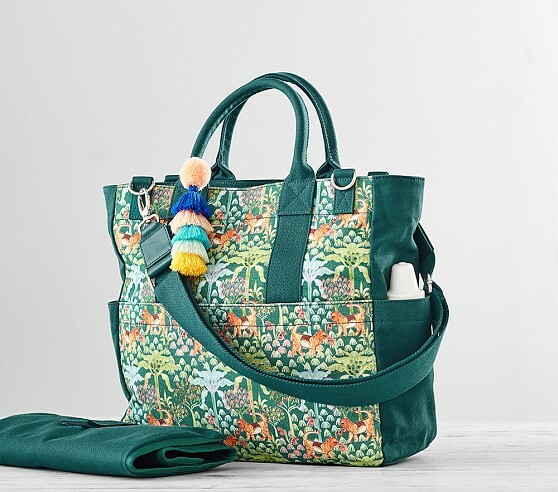 For now, everything from The Land of Nod has been moved to Crate & Kids, so you should you’ll just need to change how you look for it. I hope that the magic continues to thrive under the new arrangement. 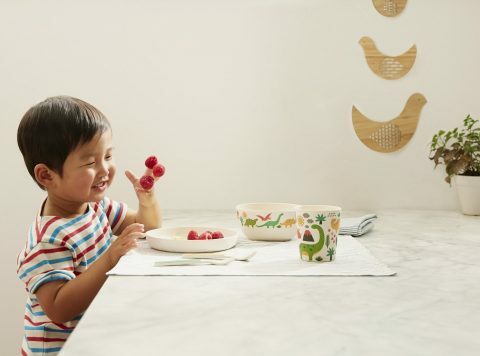 Select Crate & Kids items will appear in over 40 Crate & Barrel stores starting next month, so if you’ve lived in a city without a brick and mortar location of The Land of Nod, this could be fun. 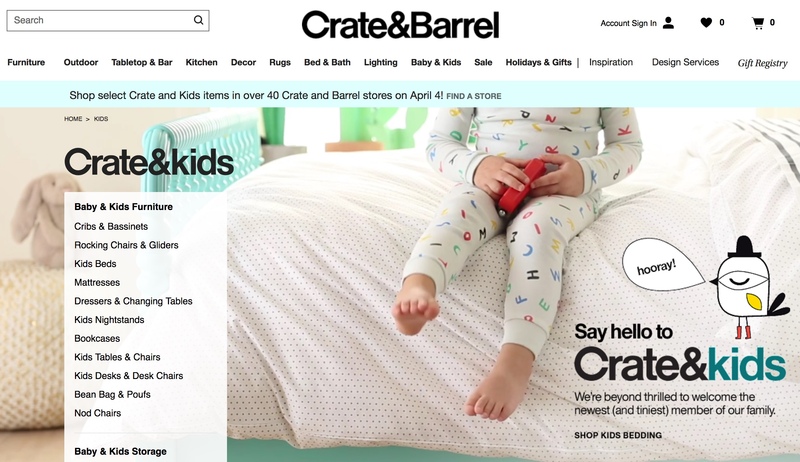 I live 2 hours from the nearest Crate & Barrel, so I’m out of luck, but I’m sure I’ll be visiting Crate & Kids at least weekly. 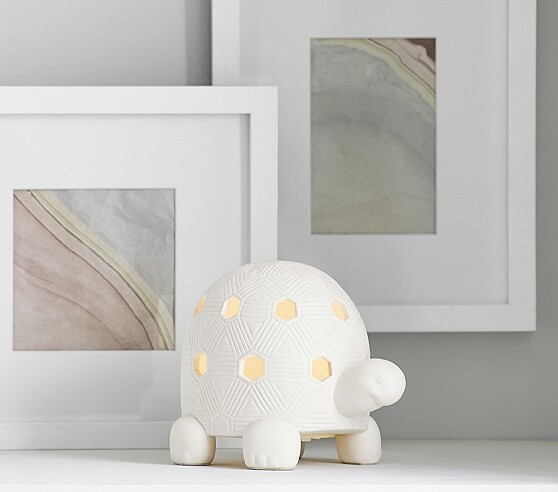 The nursery sets from Pottery Barn Kids usually run a little too mainstream for my tastes, but this collection from Justina Blakeney is a surprise in the very best way. 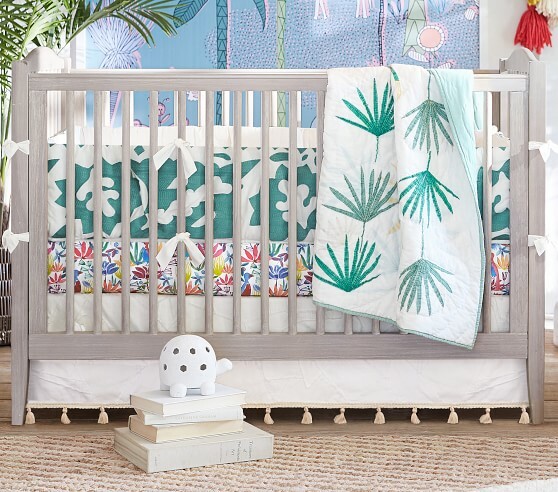 The Jungalino Baby Bedding is the centerpiece of the nursery set. 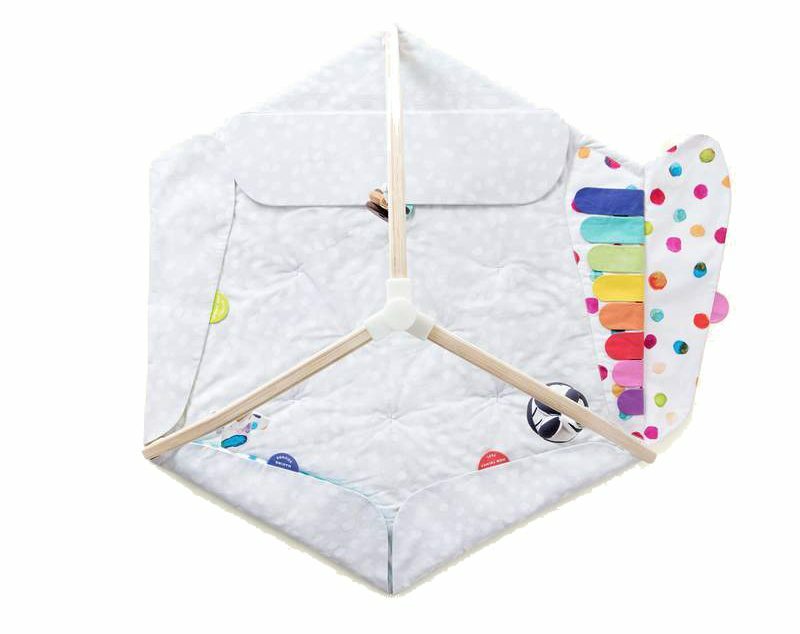 The wonderful collection of colors and patterns includes a quilt, fitted sheet, bumper and decorative pillow. 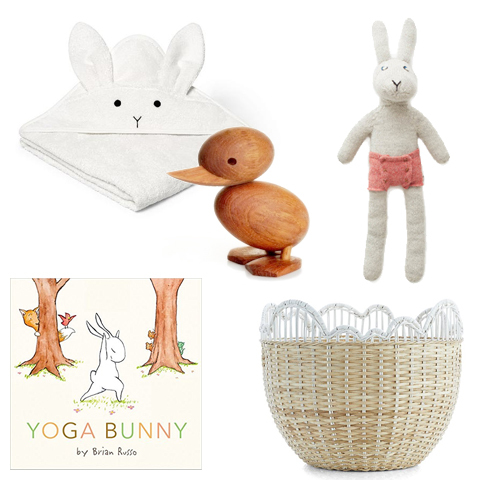 Shop this special collection while you can and check out the rest of it at potterybarnkids.com. 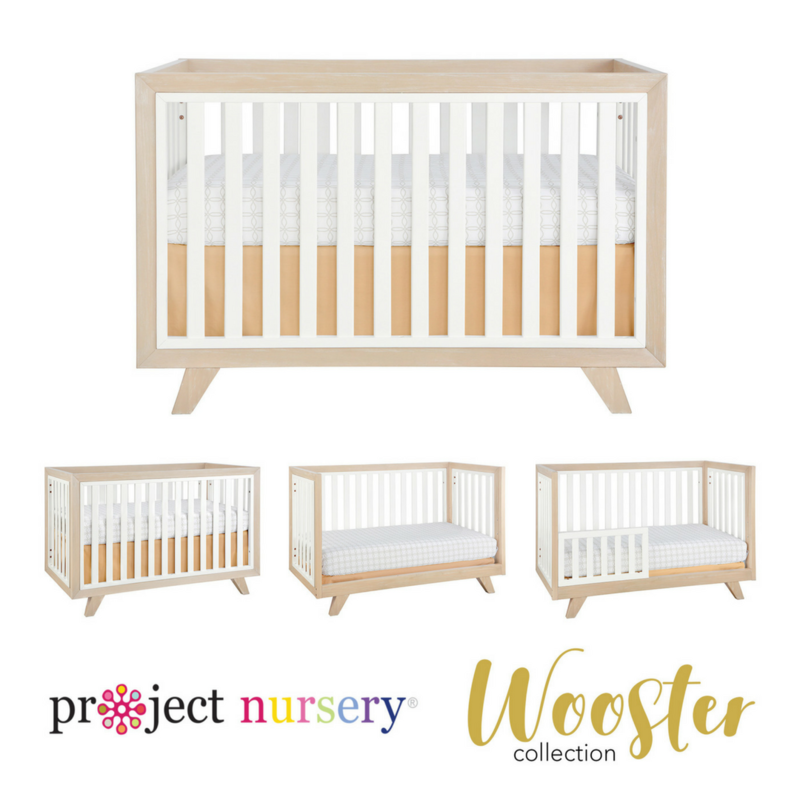 My friends over at Project Nursery have been sharing nursery inspiration for many years and now that they’ve gotten into product development, the Wooster Crib is a great new partnership. 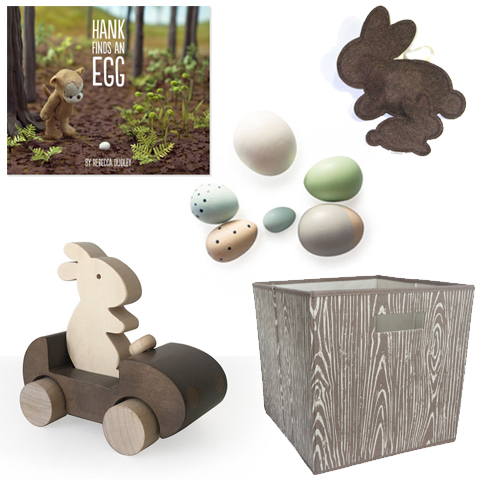 Working with Karla DuBois, they’ve come out with this modern, eco-friendly crib with an approachable minimalist design. For $400 (plus $100 for the toddler rail), I think this is going to appear in many future Project Nursery posts. 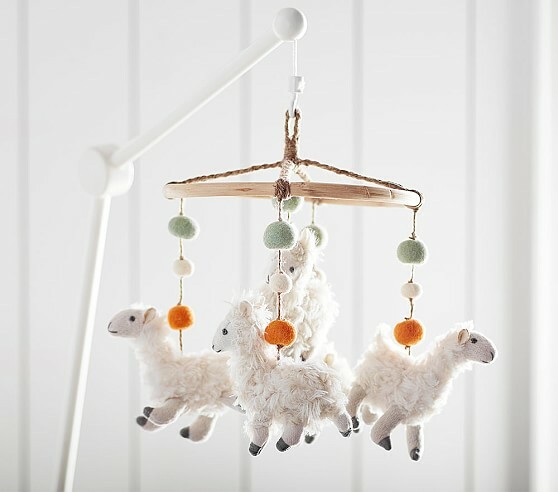 The Wooster Crib comes in Two-Toned Willow and White, Pure White, Moon Gray as well as Almond. 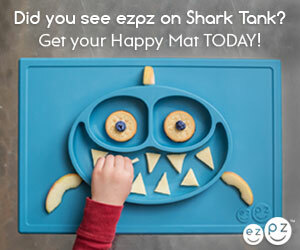 Modern, beautiful, easy to use, organics sustainable, and easy to adapt as your child gets older. There are a few play gyms that meet some of those criteria, but none that cover them all until the Lovevery Play Gym. 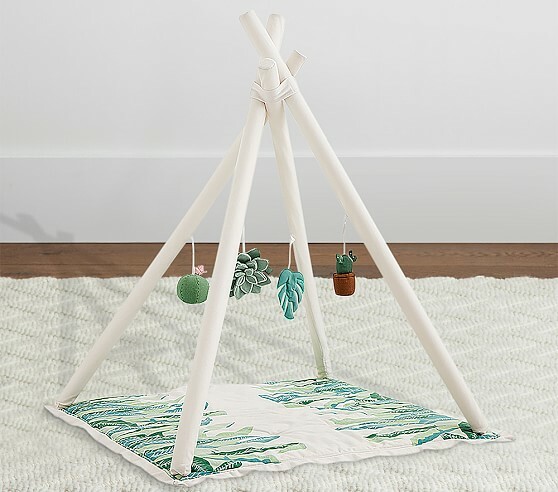 Modern in style with wood legs, this play gym is easy to set up and comes with a variety of toys and accessories. The side panels unfold to reveal five different development zones. 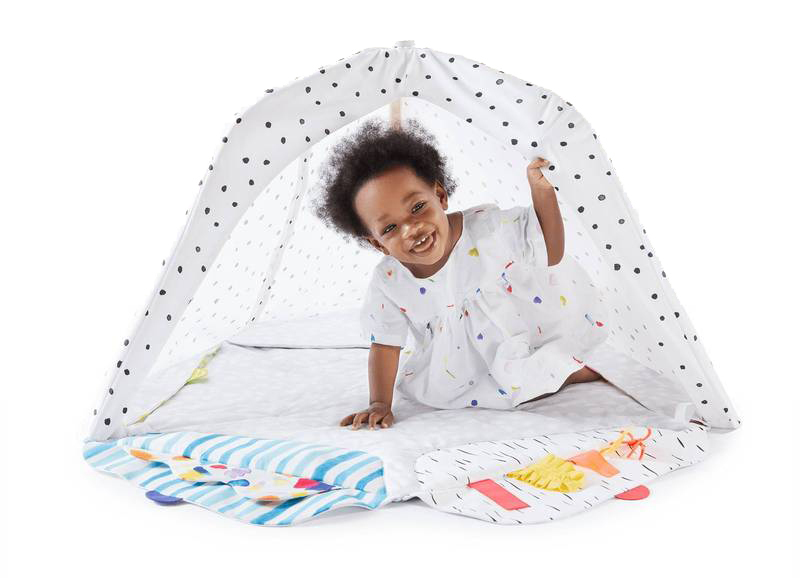 And the biggest game changer is the cover that turns this infant toy into a toddler tent. How perfect?! 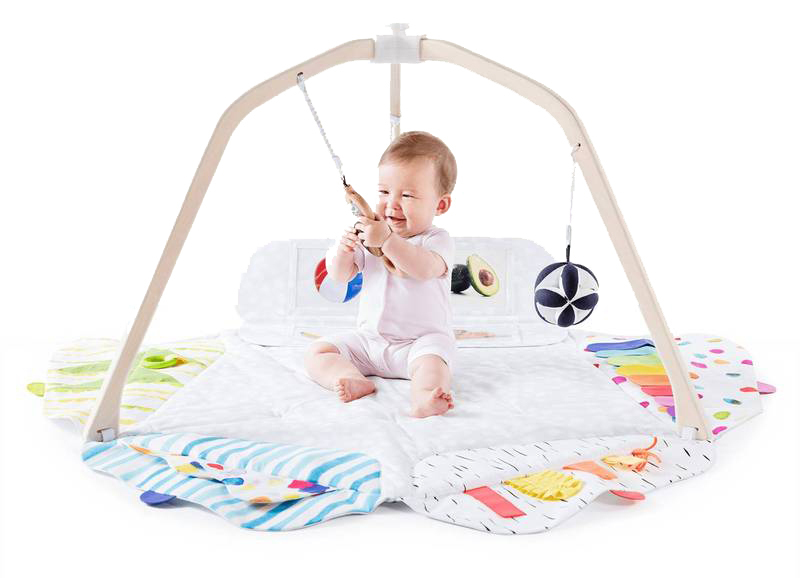 The Play Gym from Lovevery retails for $140 and can be ordered via our amazon affiliate. This play gym is going straight to the top of my favorites list! 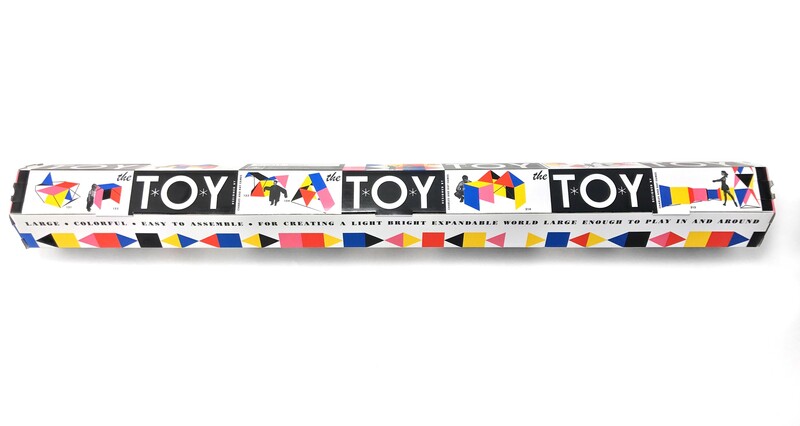 Last available for children (and adults) of the 50’s, The Toy from Eames is available for the kids of this generation. 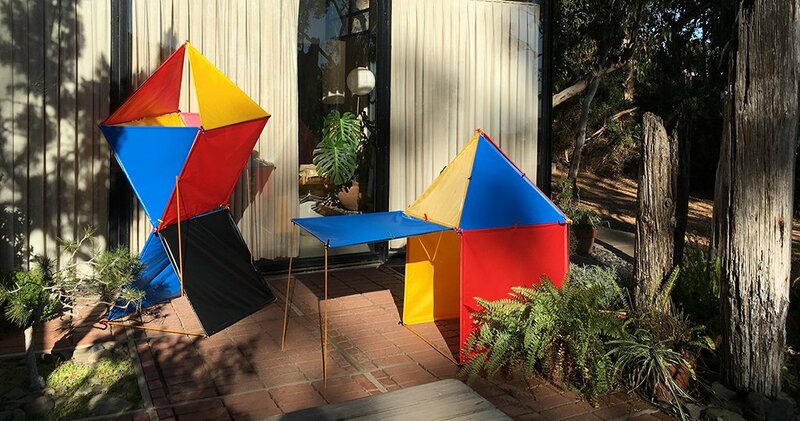 You can’t get a more Mid-century modern buildable play structure set. 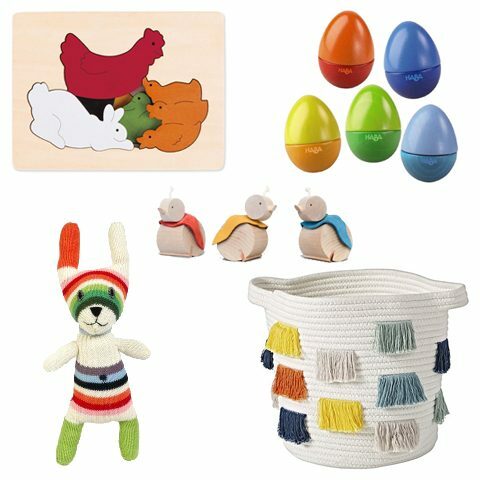 As the text on the box describes, The Toy is “Large-Colorful-Easy to Assemble-For Creating A Light, Bright Expandable World Large Enough To Play In and Around.” Sounds good to me, but what is it? 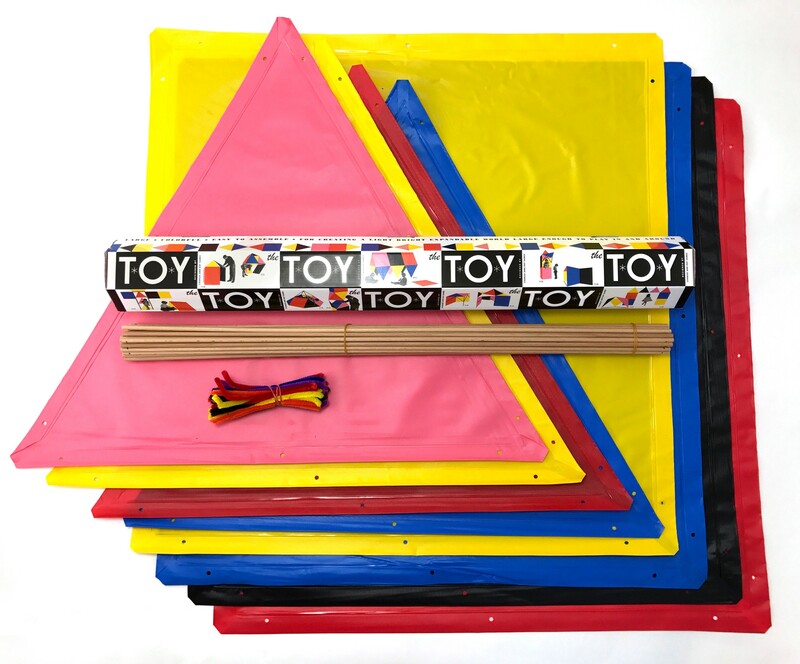 The Toy includes PVC Vinyl panels, hardwood dowels, and pipe cleaner connectors. Retails for $118. 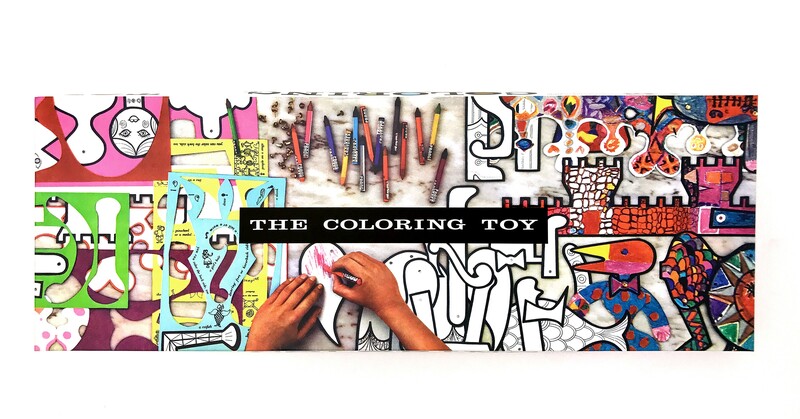 The Coloring Toy is also being reintroduced 60 years later. 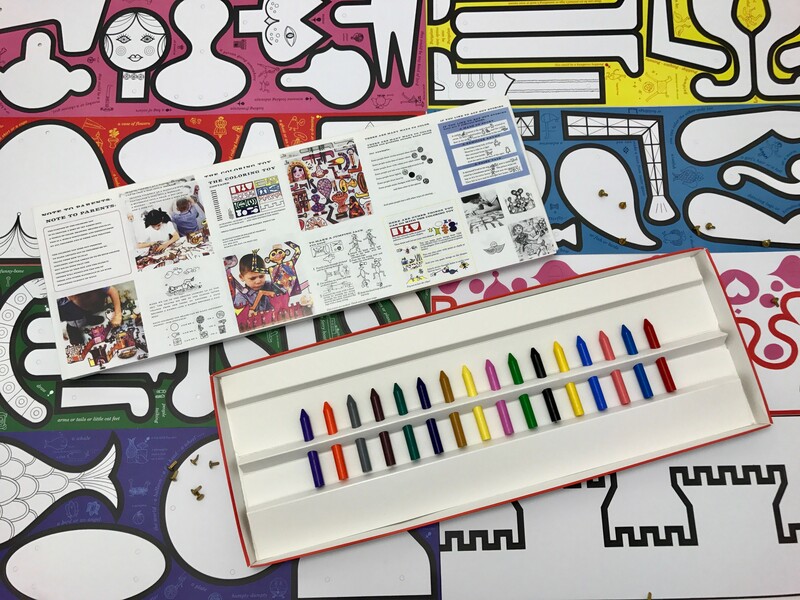 Sheets of card-stock along with crayons and clips allow for all kinds of artistic creations. Retails for $25.